When it comes to making your designs smaller and lighter, mPPE insulated and jacketed cable is the material of choice, however one area of consideration may be harsh environments. Even though mPPE is great in a number of areas, it is not the ideal choice for environments where the cable will be subjected to oils, solvents, chemicals, or other hazards. A great solution to finding the perfect cable for your most demanding applications without sacrificing the environmental and size-saving benefits of mPPE is to design a custom cable! One example of such a product would be our EcoFlex PUR product family which utilizes our zero halogen, thin-walled mPPE insulated single conductors and a tough zero halogen Polyurethane jacket. This combination provides the size and weight savings of our EcoWire conductors along with the ability to last in harsh industrial environments that are often subject to oils, abrasion, and flexing all while maintaining zero halogens overall. 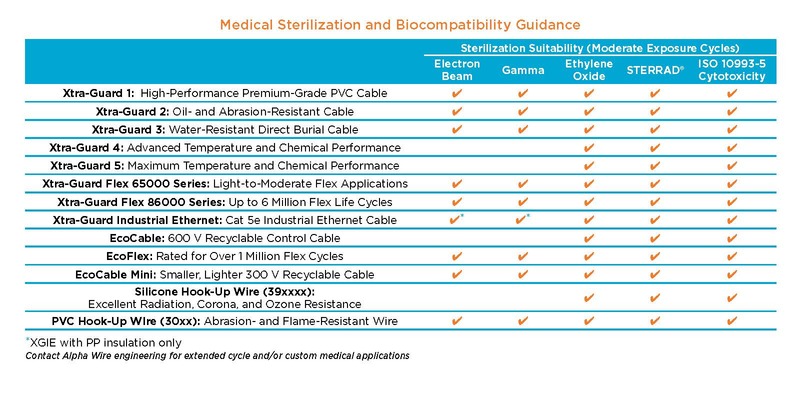 Alpha Wire can manufacture custom cables to meet a wide range of environmental and regulatory requirements such as low outgassing and phthalate-free options in order to meet RoHS2, WEEE, and REACH requirements. Take a moment to think outside of the box when researching your next cable design and keep Alpha Wire in mind for your eco-friendly custom cable requirements!